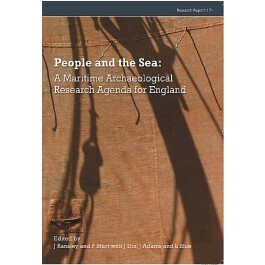 This volume presents the conclusions of a research assessment funded by English Heritage which drew together the broad community of scholars interested in marine and maritime affairs, with a remit of both quantifying the known record and establishing a clear research agenda for the future. The result is an unrivalled exploration of our maritime heritage and a challenging agenda for the future. Britain is a maritime nation. Thus understanding the changing record of people⊃l;s relationships with, and use of the sea is key to interpreting the archaeological record. People and the Sea considers all aspects of our maritime heritage; from the submerged landscapes created by changes in sea- level over the last million years, to the physical development of the modern coastline, through to ports, their hinterlands and associated maritime communities. It investigates the nature of seafaring, its associated material culture as well as people⊃l;s changing perceptions and interactions with the sea. Chronological chapters, from the Palaeolithic to the 20th century, all consider a number of key themes, exploring both the current state of knowledge and priorities for future research. While the focus is on England, the themes explored are applicable to any coastal community, both in the UK and the near Continent. Written by leading academics, in consultation with numerous specialists, People and the Sea provides an unrivalled exploration of our maritime heritage and sets a challenging agenda for future research.